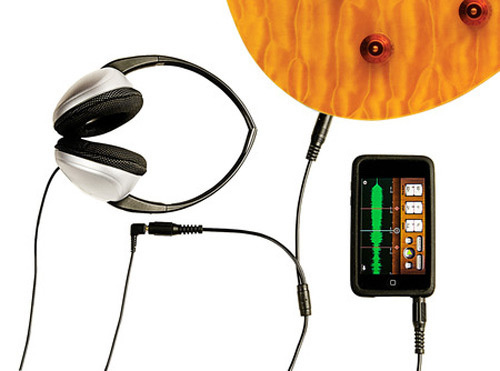 Plug your guitar, bass or keyboard directly into iPhone / iPod Touch along with headphones. Works with Voice Memos™, StompVox™, Riff Raters™, GigDaddy™, iStrobosoft™, Rectools Pr™o, Guitar FX Deluxe™, and many others. (Trademarks are the property of their respective owners). Guitarbud – the guitarist’s interface, basically replaces your iPhone’s built in mic with the direct output of your guitar. Use your guitar with any app that your mic worked with. Something like the Guitarbud has been a long time coming – and it will hopefully be the start of a whole new market in adapters and apps.